A lifting and anti-aging cream that leaves skin hydrated, smoothed and firmed. This formulate is infused with hand-harvested Prickly Pear Seed Oil from the Sahara Desert, which is rich in anti-oxidants that youthfully defend skin from environmental aggressors. 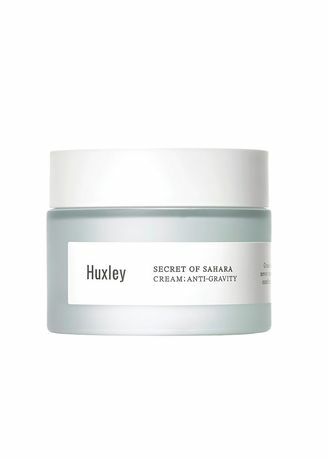 Infused with Huxley's signature ingredient, prickly pear seed oil. The high linoleic acid content provides high moisturizing and antioxidant effects, while remaining light textured and absorbs well into the skin. How to use: Gently apply to cleansed and toned skin, morning and night. Can be used after a serum or essence treatment.